Don’t risk your crop’s health. Since 2001 we have been providing agronomists, growers, independent consultants, multi-national clients, and government organisations across Australia with comprehensive soil, plant tissue, and water test reports to help grow better crops, while providing responsible environmental stewardship. Agronomists and growers should not under estimate how important it is to do proper and timely soil analysis and testing. 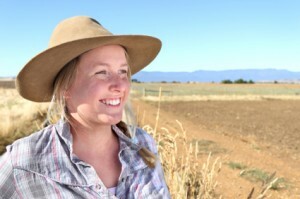 It is important to note that the information received from soil analysis and testing, particularly as it relates to local conditions across Australia, is highly dependent on how the samples are obtained, the overall agricultural soil testing strategy used, and the procedures employed by the soil testing lab. The details below are derived from procedures based on over a decade of soil analysis and testing by one of the most respected certified soil testing labs in Australia. These details should assist Australian agronomists, growers, consultants, and governmental departments in collecting soil samples prior to submitting them for chemical analysis. 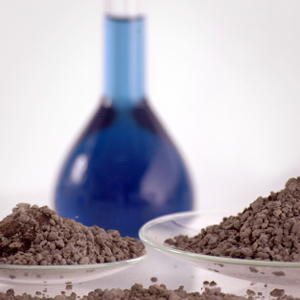 Our tests provide you with a complete report on the status of your soil’s mineral and micronutrient makeup. The information contained in this report provides growers and agronomists with valuable guidance on proper fertiliser selection and micronutrient applications. These soil tests include: Total Soil (with PBI) (S7): pH (H2O), pH (CaCl2), EC, S, P, Na, K, Ca, Mg, Al, Cl, Cu, Zn, Mn, Fe, B, NH4-N, NO3-N, % Organic Matter, colour, texture, Lime requirement, CEC, Ca/Mg ratio, % Base saturation & PBI. Phosyn’s crop and pasture analysis helps to quickly identify visible plant issues as well as issues which do not yet have visible symptoms. Our accurate assessment of your pasture or crop’s nutritional status helps enable rapid remediation of any nutritional deficiencies. Standardised plant tissue testing includes: Total Crop (P3): N, S, P, K, Ca, Mg, Cu, Zn, Mn, Fe, B, Na, Mo, Cl, NO3-N. Basic Pasture Plus (P5): N, S, P, K, Ca, Mg, Cu, Zn, Mn, Fe, B, Na, Mo, Co, Se. Potato or Cotton (P6 or P18): N, S, P, K, Ca, Mg, Cu, Zn, Mn, Fe, B, Na, Mo, Cl, NO3-N. Early season analysis of the mineral composition of fruitlets is important because this composition is an important determinant of fruit quality and storage potential. An early season analysis helps growers and agronomists identify potential problems while there is still ample time to correct them before harvest. In fact, Phosyn reports provide important information to assist in the selection of proper treatment. Analysis later in the season is equally accurate and also provides valuable information, but there is not as much time for growers to address potential problems and correct them. Please note that Phosyn can provide a complete analysis of all fruit varieties at any stage of growth. Phosyn provides a full range of water testing services encompassing the entire spectrum of reports required by agronomists and growers. Phosyn’s water analysis and testing reports include assessments of pH and conductivity, as well as identification of nutrients in water. Testing for nutrients in liquid samples also applies to bore water and hydroponics. Water testing includes: Water 3 (M03): NO3-N, P, K, Ca, Mg, S, Mn, Zn, B, Cu, Fe, Mo, Cl, pH, EC, Na, NH4-N & HCO3. Phosyn also offers a full range of testing services including: the analysis of nutrients in fertilisers as well as manures and other organic waste products. 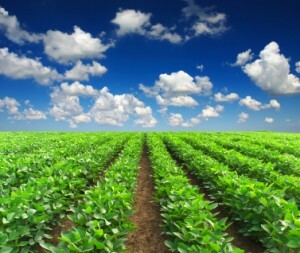 We also provide specialist services to assist growers, agronomists, and other agricultural specialists. Please contact a Phosyn expert regarding any agricultural testing questions you may have.